The beautiful pattern adorns the circumference of the bangle when each 1/3rd distance on the length of circumference. 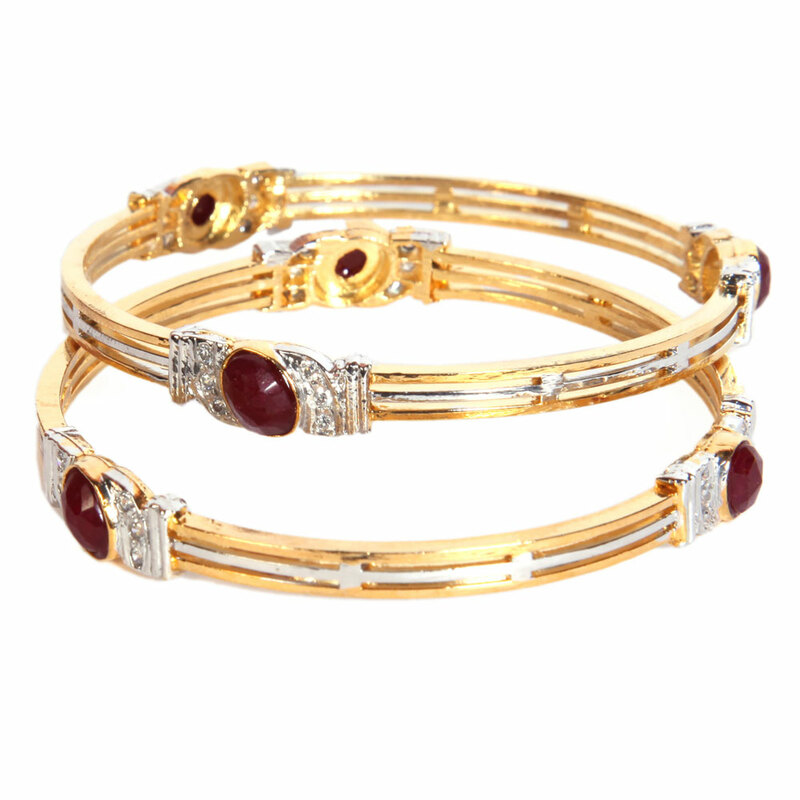 This contemporary three line metal bangle design of this pair of designer bangles has been enhanced further by the magnificent pattern featuring a central red Read More..CZ stone surrounded by glittering white stones. The beautiful pattern adorns the circumference of the bangle after every 1/3rd distance along the length of circumference. Show Less..